Located on the north end of a 191-mile stretch of coast known as the Riviera Nayarit, San Blas is a port town that was once instrumental to Spain's Colonial expansion into California and the Pacific Northwest. Today, the small town is home to nearly 10,000 inhabitants who work in fishing, tourism and agriculture. San Blas' surroundings offer more than 20 miles of virgin beaches, mangroves with abundant bird populations and a stunning variety of marine life, including whale sharks, dolphins, marine turtles, giant manta rays and humpback whales in the winter. The rich history, stunning natural beauty, sophisticated meeting venues in San Blas create a great destination groups, cultural events and incentive getaways. 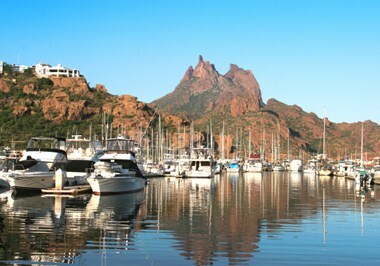 San Blas is located 55 miles west of Tepic, the capital city of Nayarit, and 100 miles north of Puerto Vallarta. The Amado Nervo de Tepic Airport (TPQ) has daily direct flights to and from Mexico City and Tijuana, and Puerto Vallarta's airport services 40 destinations in 3 different countries. The city's bus station is serviced by Estrella Blanca and Norte de Sonora bus companies, with daily departures to Guadalajara, Puerto Vallarta, Santiago Ixcuintla and Tepic. Meetings tourism infrastructure includes four special event venues in San Blas, as well as seven hotels. The city's biggest venue is the Escala Nautica, a marina that can host events of up to 800 people. Alternatively, the La Condaturio Fort, an 18th-century Spanish construction built to protect sea trade with the Philippines, can host events of up to 500 people. The Hotel Garza Canela has 50 rooms and suites, a swimming pool a restaurant and indoor parking. The hotel's conference room can host up to 100 people auditorium style and the restaurant can accommodate banquets of up to 200 people. By the end of the 18th century, San Blas was recognized as New Spain's largest pacific coast naval base. Having been settled in the 16th century, the town still shows evidence of its nearly 500-year-old history. The most notable constructions are the aforementioned Contaduria Fort and its adjoining temple (the Templo de la Virgen del Rosario), which is located on large hill with a stunning view. Alternatively, San Blas offers great ecotourism activities, such as the Mexcatitan Island, which is a unique place to observe birds, particularly during the winter months. Other surrounding nature areas include the Isla Isabel National Park, la Bajada, la Manzanilla and La Tobara, all with diverse bird species and incredible biodiversity. 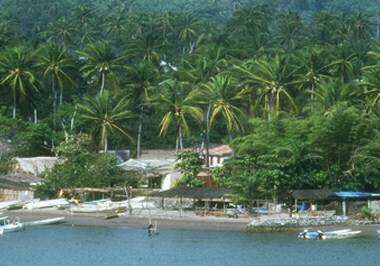 There are no current promotions in San Blas Nayarit, Mexico.